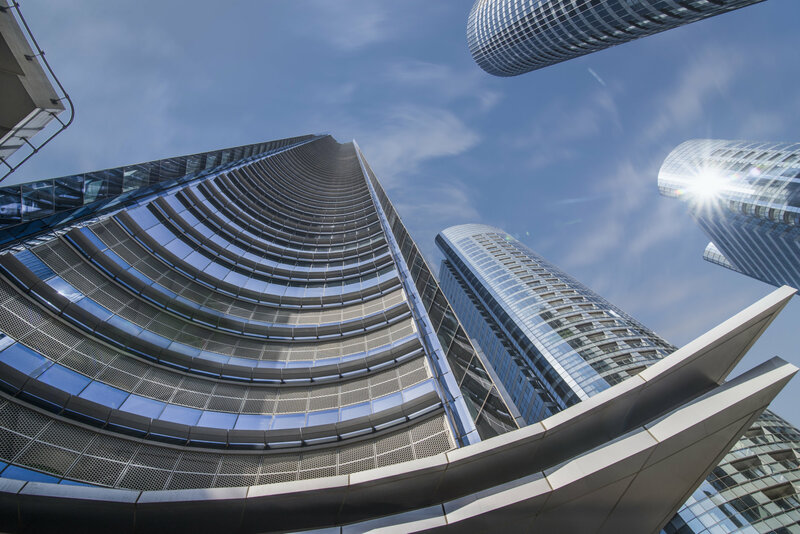 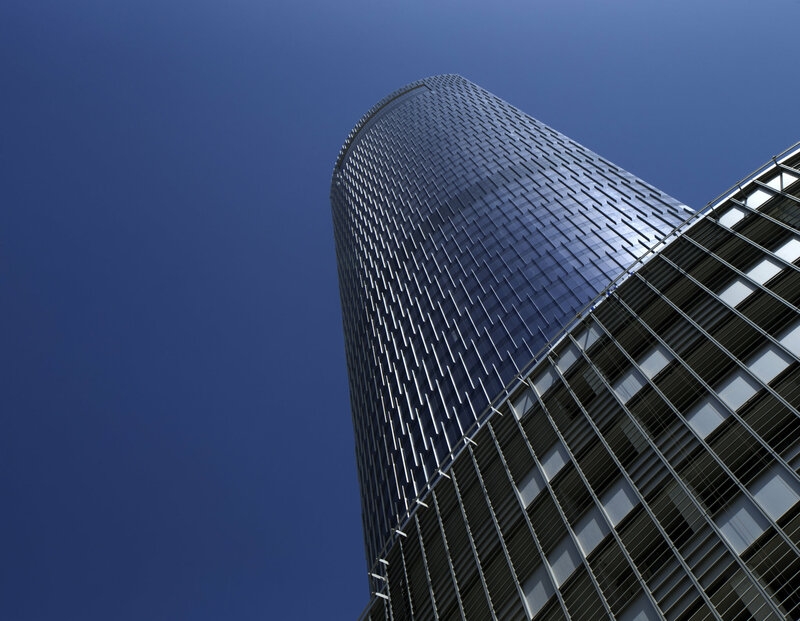 Impressive and iconic in stature, the size of the building skyward is mirrored by the grand double height entrance at pedestrian level, giving Addax Tower dominance in Abu Dhabi’s City of Lights district. 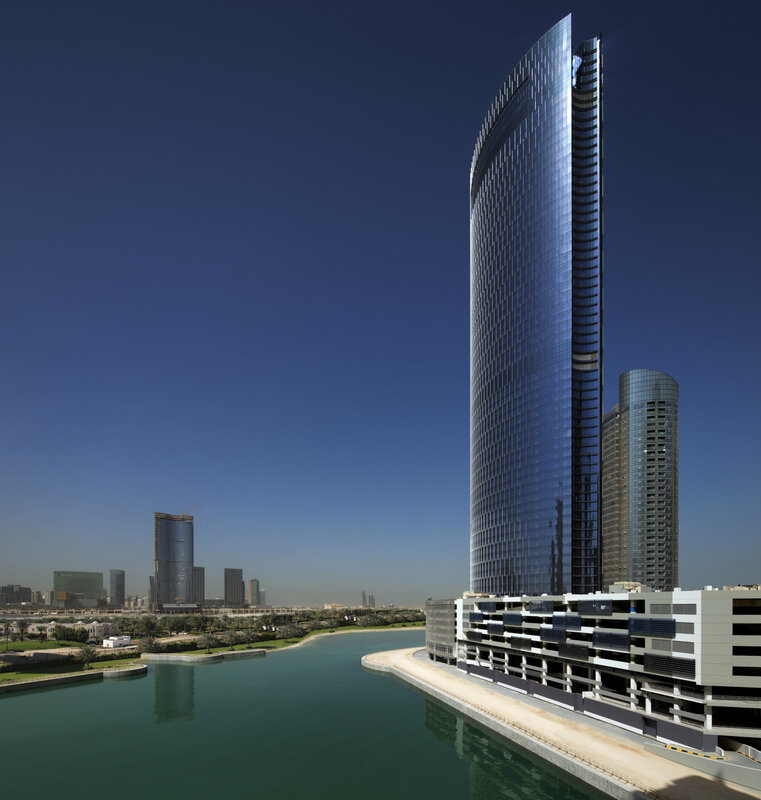 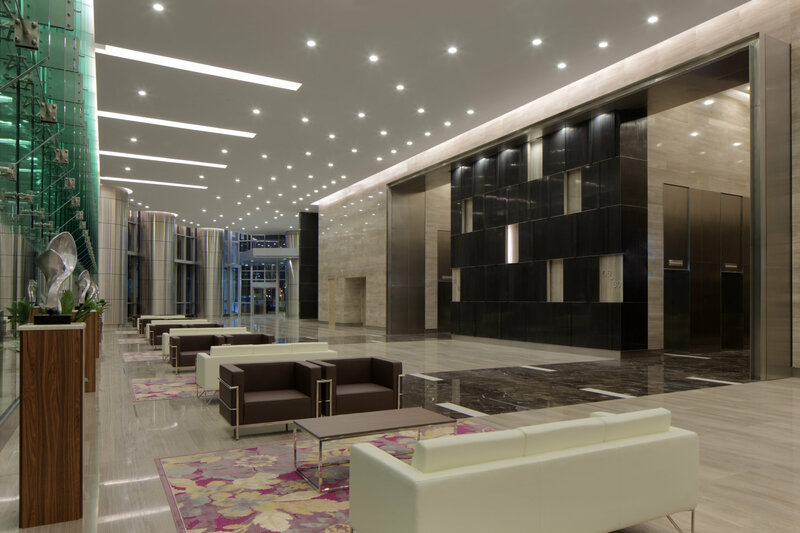 The commercial office tower sets a precedent for Abu Dhabi in terms of office space, with innovation and flair evident throughout the development. 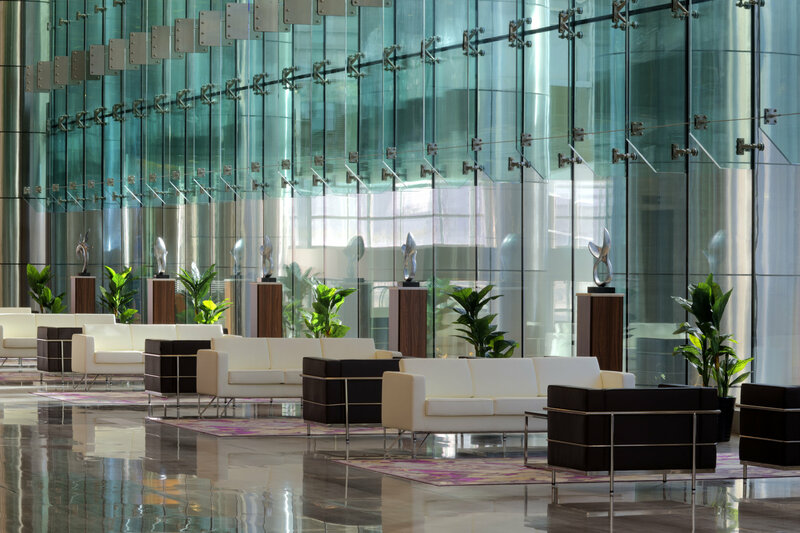 Office floor plates were uniquely designed as column-free offerings, while the structure is constructed from reinforced, post-tensioned concrete, with the striking linear façade made up from aluminium and glass.